Horse riding gadgets – help or hindrance? Like most other riders, I’ve explored numerous gadgets over the years – I used to be particularly partial to gadgets that I believed would turn my horse into a Grand Prix dressage champion, all with minimal imput from me. I’ve gradually come to realise that the only magical power most of these things possess is the power to empty my bank account – that isn’t to say that they don’t work at all, just that they don’t represent a short term fix. Most gadgets tend to be designed to improve your horse’s balance and posture, and can be helpful to educate a young horse or inexperienced horse, or improve one that’s already working on the right lines. What they don’t do, in my opinion, is take a horse with a problem and turn it into a horse without a problem. Unless the horse’s problem is having an owner with too much money, of course. Things I’ve used over the years include: martingales of various types, balance reins, market harboroughs, lunging aids, side reins, draw reins and a vast array of different bits. Some were helpful; others were borderline dangerous. What I’ve learned over the years is that nothing really beats old-fashioned groundwork, schooling and lateral exercises – and although some of the bits and pieces on the market will help you do a year’s job in six months, nothing will help you do it in six days if you’ve got an event deadline looming. Unfortunately, it’s tempting to fall into the trap of using gadgets to try to control a strong horse or boost a rider’s fragile confidence. My personal bugbear here is martingales, as I know many, many people who just don’t use them correctly, and even some who seem to view them as a sort of fashion accessory. The two types of martingale in common use – standing and running – both consist of a neckstrap and another strap that runs from the horse’s girth to either the reins or the noseband. A running martingale attaches to the reins to prevent the horse lifting its head too high. 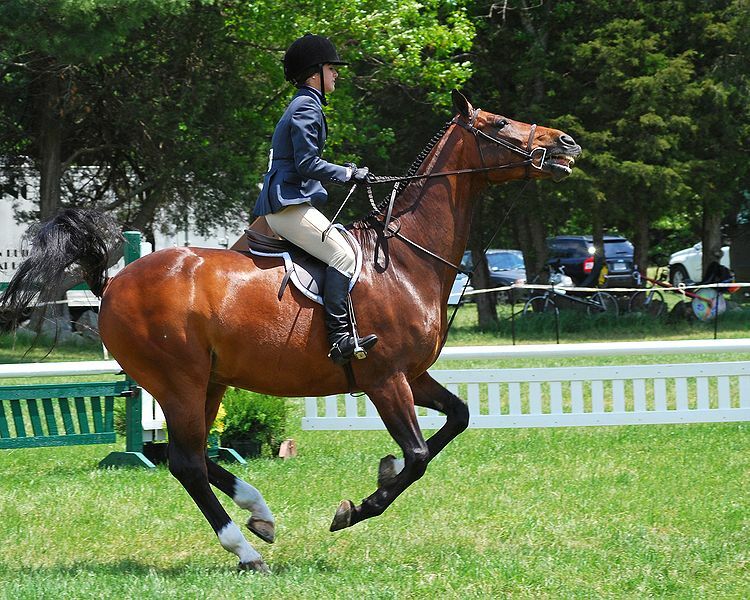 Both types are designed to make it harder for the horse to raise its head above a certain level, and therefore getting above the bit and becoming unbalanced, as an unbalanced horse is harder to control. 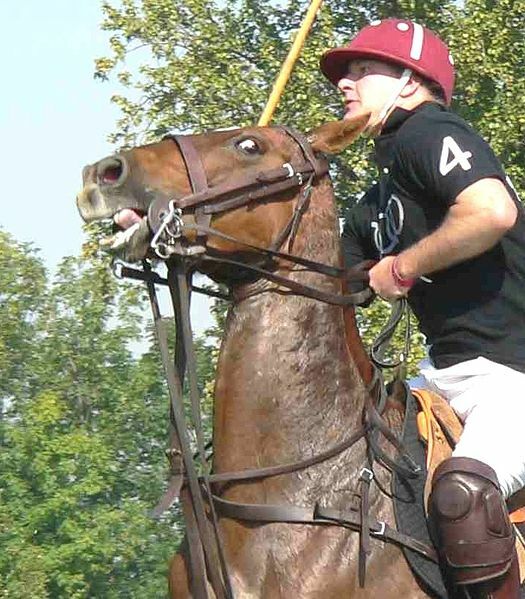 Standing martingales attach to a cavesson noseband, and are often worn by polo ponies for the duration of the match. However, they are only designed to be used on a temporary basis, either to break a bad habit, whilst you are in the process of schooling your horse into a better outline, or in exceptional circumstances, such as hunting or jumping cross country. I occasionally use one if I’m going to be doing something unusual, but riders who use one longterm as part of their normal, everyday tack are not doing themselves or their horses any favours. Unbalanced horses quickly learn to balance on a martingale that’s constantly there to support them, and therefore don’t have to learn to carry themselves properly. Horses that are adopting a too-high head carriage as a result of pain – teeth problems or a bad back, for example – will find their escape method blocked by a martingale, and quickly exhibit other behaviour traits such as bucking or reluctance to work. 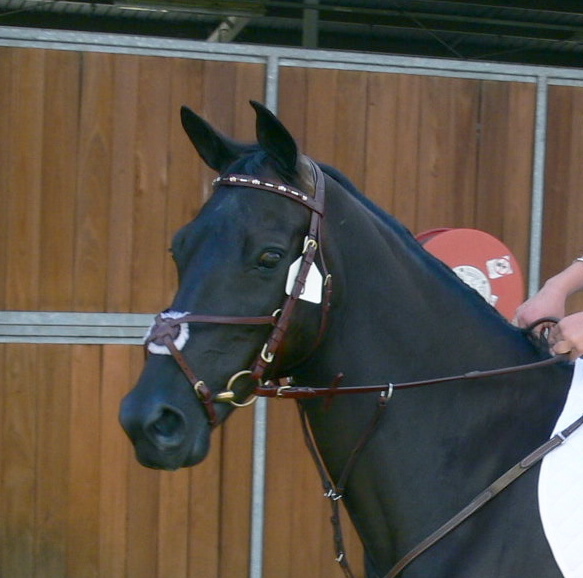 A standing martingale gives the rider on a strong horse a little extra control during an event. Riders with poor confidence often like to use a martingale as they like the security of the neckstrap as an extra handhold. However, a neckstrap is really in the wrong place to provide a good handhold, as it’s too far up the neck and will tip the rider forwards – not what you want in an emergency! A better security device is a ‘balance strap’ – a thin strap such as a flash noseband or two spur straps, buckled through the D rings at the front of the saddle. This is in the correct position to be useful, and is thin enough to be held in the same hand as a rein if necessary. The sign of a mature, well-schooled, relaxed horse is that it normally be ridden with the mimimum of equipment – a simple bit and bridle, and no gadgets whatsoever. Gadgets definitely have their place for education purposes, but should not be used as a substitute for correct work and riding. A note in one of my favourite horse books from the 1930s says, ‘Remember – martingales are always an admission of bad manners’ – and who’d want to say that about their horse?